At Psychic Source, we strive to make the experience of getting a professional psychic reading simple, straightforward and satisfying – every time. Find the best type of psychic reading for you! Our telephone, online chat and video reading systems are easy to use, with clear explanations every step of the way. As the nation’s oldest continuously operating psychic service, we are fully committed to the quality which sets us apart from the rest. Why Choose a Phone Psychic Reading? 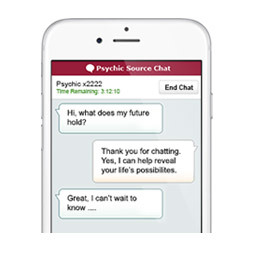 Why Choose an Online Chat Psychic Reading? 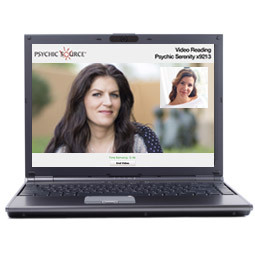 Why Choose a Video Psychic Reading? Our Customer Care Specialists are available to help you 24/7. 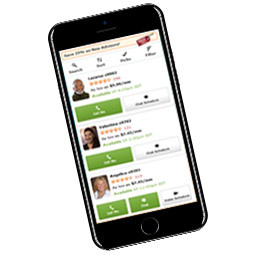 When you choose to get a psychic reading by phone, by online chat, or by video, you don’t have to face the discomfort of walking into a stranger’s home or shop, or risk feeling exposed or recognized. You can get all the benefits of a real psychic connection, from the comfort and anonymity of your own home – or the place of your choosing. Clear Pricing. No Hidden Charges. You'll always know what you're spending at Psychic Source. Our flexible Advisor rates are clearly listed on each Advisor page. You determine the dollar amount you'd like to add to your account, whether you purchase online or through our Customer Care Center. There are no hidden fees or surprise charges. At the end of your reading, you're only charged for the length of your reading multiplied by the Advisor’s per-minute rate. You can browse the Our Psychics page to learn about all the Advisors on our service, to see who’s available when you want a reading, and to keep track of your account. If an Advisor is unavailable, you can get in line and request a Return Call to tell you when it’s your turn to get a reading. You can also do this by calling Customer Care.